Pain isn’t a simple experience. The question of whether animals feel it like we do has long been an issue of some controversy. After all, it’s clear many animals have some physical sense of pain, but do they feel the same level of emotional response? Can animals suffer trauma? What about small creatures like insects or tiny fish? 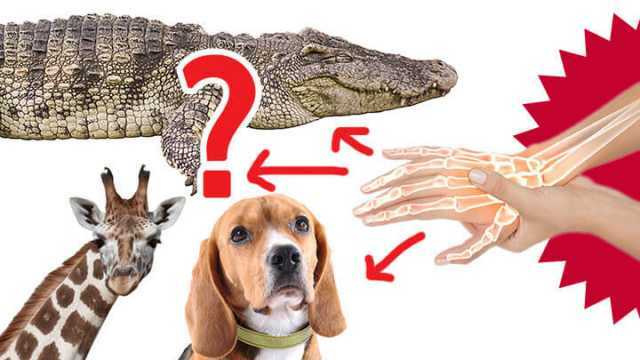 Evolutionary biologist Robyn J. Crook recently tackled these questions and others in a new TED-Ed video looking at what we know about animals and pain. To start, Crook explained there are two clear dimensions to pain — physical and cognitive. “In the first, nerves in the skin sense something harmful and communicate that information to the spinal cord,” Crook said. 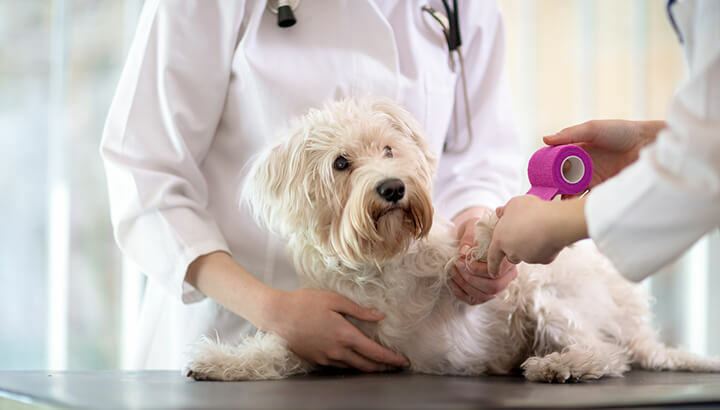 Dogs and other animals experience nociception similar to the way that we do. She continued, “There, motor neurons activate movements that make us rapidly jerk away from the threat.” As Crook explained, this kind of pain response is called nociception. Nociception is the reason why you’ll quickly yank your hand away from a hot stove, or jump after stepping on something sharp. Anyone with a pet or two probably knows animals like cats and dogs experience nociception just like humans. But what about other animals? “Nearly all animals, even those with very simple nervous systems, experience [nociception],” Crook said. She pointed out that pretty much all vertebrates (animals with spinal columns) all appear to experience nociception in basically the same way, whether they’re dogs, giraffes, cows or crocodiles. However, even most invertebrates (animals without spines) exhibit signs of nociception. “These animals aren’t legally protected [from abuse], partly because their behaviors are harder to read,” she said. However, animals like snails and worms can feel physical pain just like we do. Even oysters will recoil at pain, indicating they experience nociception in a similar way to other animals like your pet dog, or even you. However, Crook pointed out that it’s very possible animals like oysters may not experience the second dimension of pain — cognitive recognition. Cognitive recognition is what makes pain more than just a simple physical reaction. In this stage of pain, sensory neurons in the skin send messages to the brain, where they’re translated into sensations. So, while nociception is little more than a knee-jerk response, cognitive recognition is what makes humans not only feel an actual sensation of pain, but also allows us to reflect on the experience. Put more simply, nociception is pain without pain, while cognitive recognition is pain you can understand. “For us, this is a very complex experience — associated with emotions like fear, panic, and stress, which we can communicate to others,” Crook said. Do we all feel the same pain? The highly-intelligent octopus will weigh up the need for food with the physical pain caused by using an injured limb, showing the capacity to make judgment calls. The obvious next question is, do animals suffer pain on this level, just like us? When it comes to animals with very simple brains, the answer is probably no. As Crook pointed out, the aforementioned oyster probably doesn’t have the cognitive capacity to experience pain on this level. However, this doesn’t apply to all invertebrates. “Other invertebrate animals are more complicated… like the octopus, which has a sophisticated brain and is thought to be one of the most intelligent invertebrate animals,” Crook said. 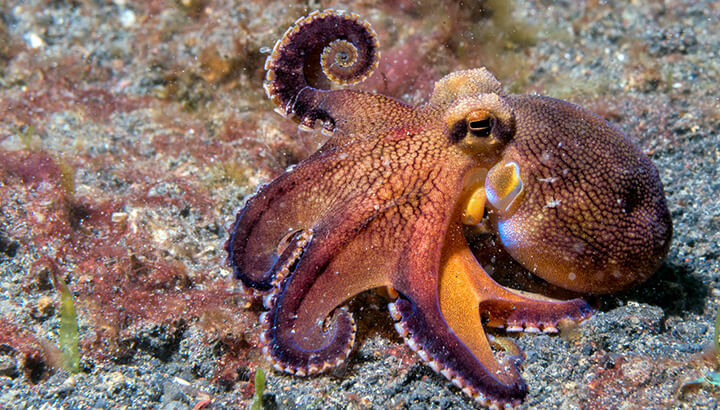 Despite the octopus evolving separately from our ancestors since well before the time of the dinosaurs, they “represent an island of mental complexity in the sea of invertebrate animals,” according to Professor Peter Godfrey-Smith. “They are probably the closest we will come to meeting an intelligent alien,” Godfrey-Smith wrote for Scientific American, referring to how incredibly different octopus intelligence is to other animals. These animals are so intelligent, Godfrey-Smith and other researchers suspect they can even read when humans are distracted. It’s possible that they use this to their advantage when plotting how to escape from labs. In short, they weigh up the need for food with the physical pain caused by using an injured limb. They also feel a mental desire to minimize their suffering. These kinds of mental processes indicate the octopus feels pain on a similar level to us — and they’re not alone. In laboratory tests, injured birds offered both ordinary food and feed laced with painkillers will opt for the latter, while horses will exhibit massive behavioral changes while suffering pain. Many animals, like cats, even share similar facial expressions of pain to humans. Researchers still have many questions about how animals feel emotional and physical pain. Still, it’s clear they can suffer just like us. Most animals not only react to pain in the moment, but they can also communicate their suffering. They also experience longer term psychological responses. Crook said it’s important we continue seeking to understand animal pain. “As our knowledge grows, it may one day allow us to live in a world where we don’t cause pain needlessly,” she said. Her video is well worth watching in its entirety, so check it out below! Hey Buddy!, I found this information for you: "‘Alien-Like’ Octopus And Other Animals Can Feel Pain The Way We Do". Here is the website link: https://www.thealternativedaily.com/animals-feel-physical-pain-like-us/. Thank you.